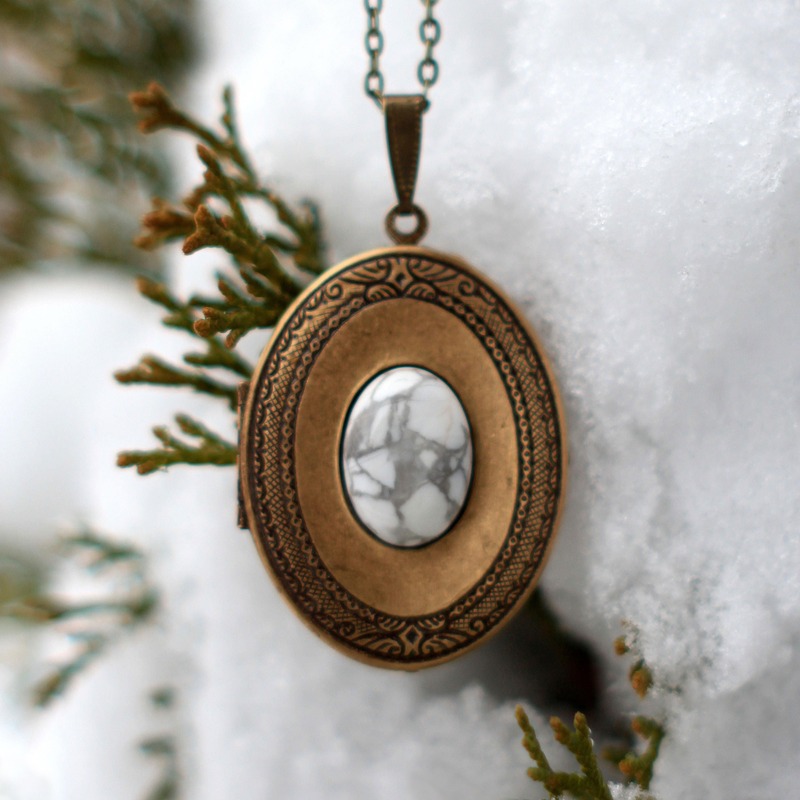 This gorgeous antiqued brass locket comes with your choice of stones; mist-swirled Howlite, shimmering Labradorite, or entrancing Snowflake Obsidian. 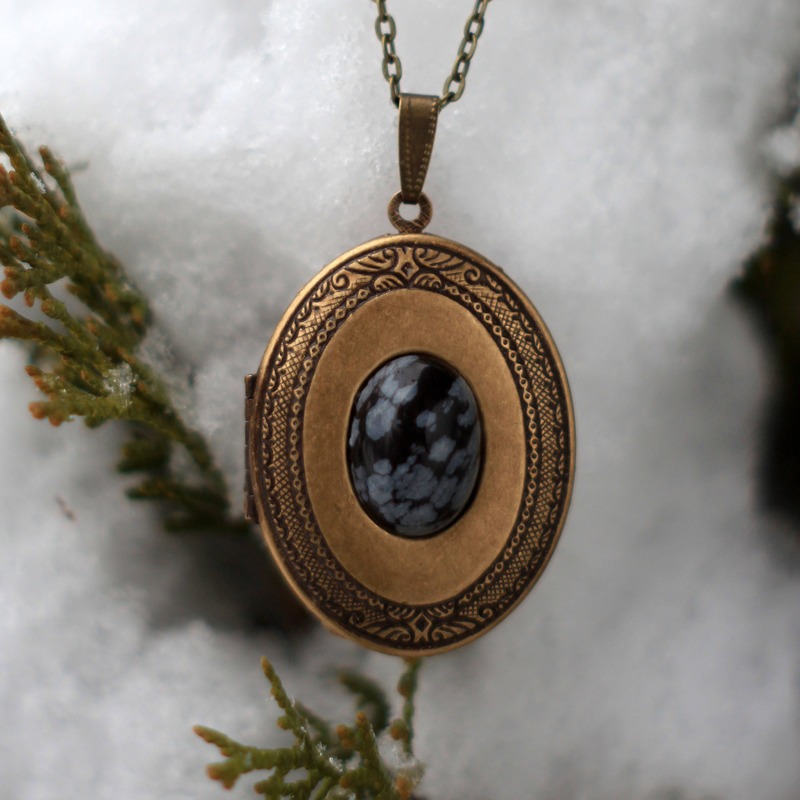 As these are natural items, each stone will be unique. 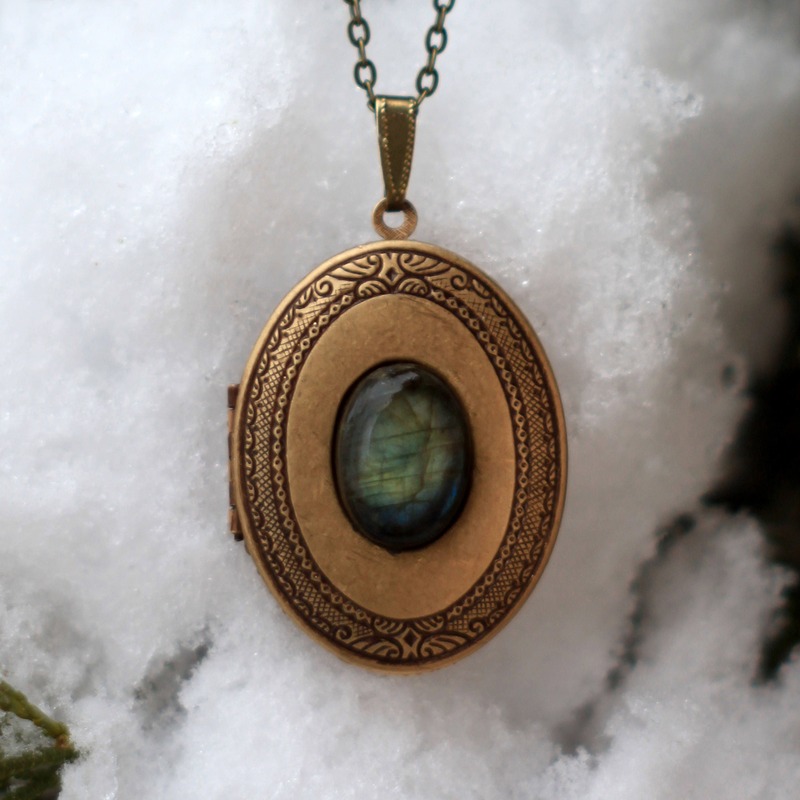 A generous 28" brass chain lets your locket sit long and elegant. 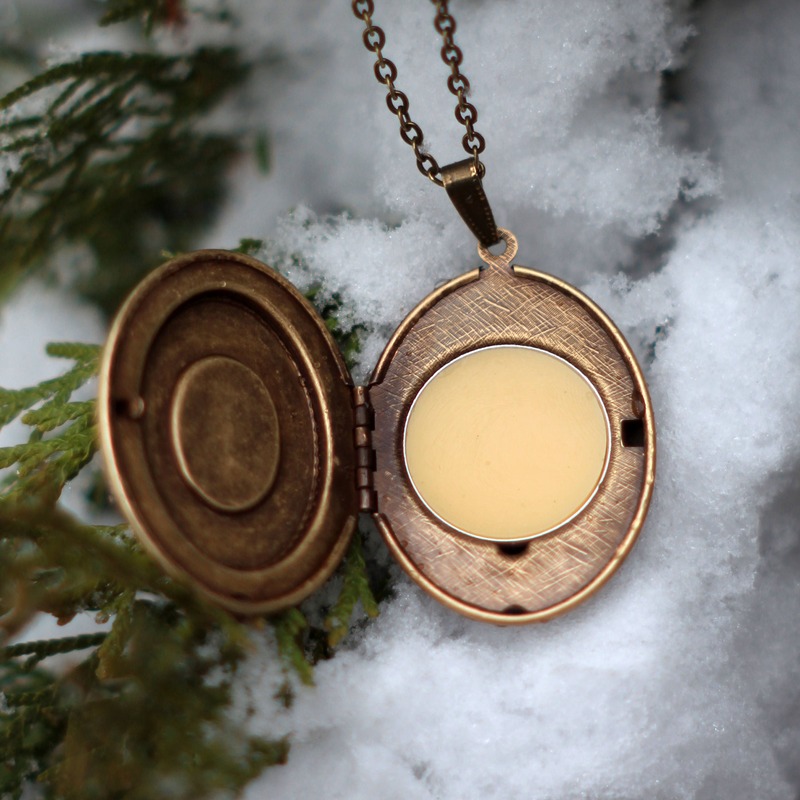 About 2ml of solid perfume fills the locket, enough for 30-40 applications. The refillable perfume is hand-blended with the highest quality organic essential oils, their entrancing scents captured in nourishing shea nut oil, coconut oil, and organic beeswax. Dab the perfume generously on your pulse points; the fragrance will be released as the wax warms. This perfume stays close to the skin, a secret story for you and anyone lucky enough to get close to enjoy. SPARROW'S WING // soft down, warm wood, gentle florals, and dusky shadows. 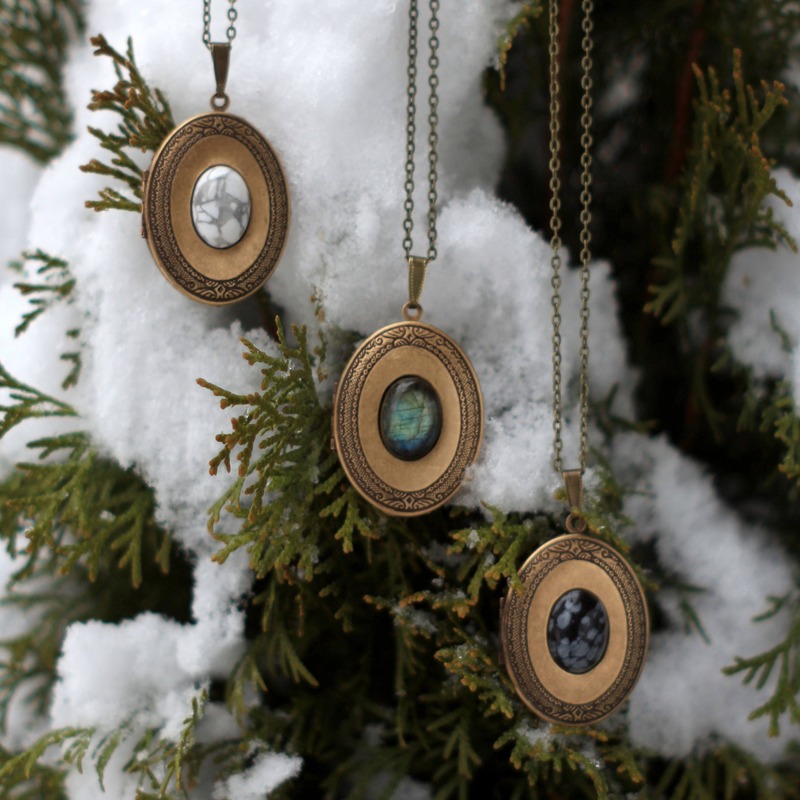 HIGH REACHES // cedar boughs, firewood smoke, soft rose, and cold wind. The best purchase I’ve made in a long time! I am so so happy with it and wear it every day.